FramebyFrame is a basic application to create stopmotion with your webcam. 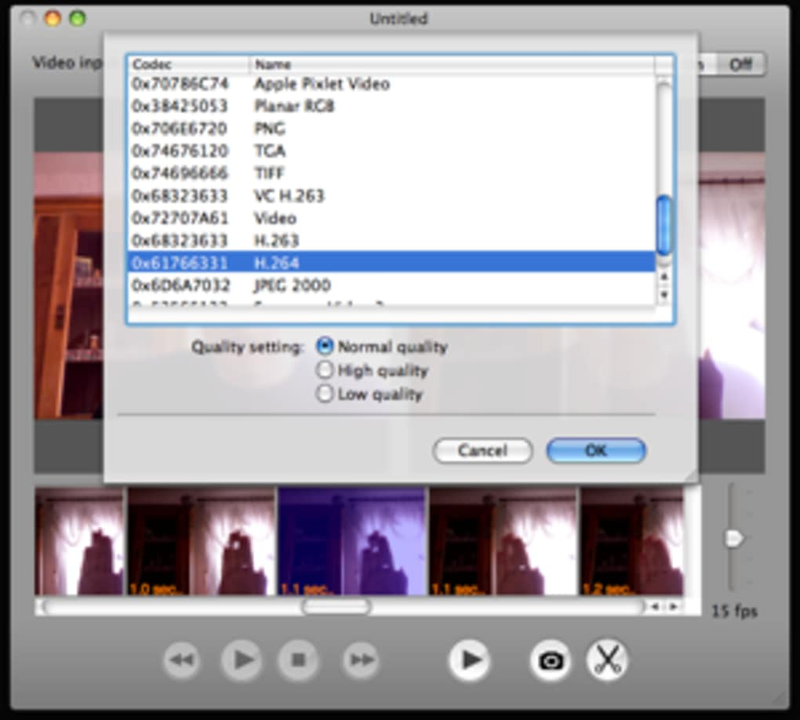 If you have an iSight camera, FramebyFrame is very easy to use. It takes no configuration from your part, just press the little camera button to take shots and make sure that your webcam is capturing what you want. The timeline at the bottom displays all your different takes. FramebyFrame displays what your camera records on the left and all the frames superimposed on the right. The scissors button will allow you to erase unwanted frames. We did find FramebyFrame a little too basic, and compared with an application like Boinx iStopMotion, it really appears very limited. Although you can set the frame rate from 0 to 30, there's no explanation as to what that will change. The interface also felt a little crowded and the timeline didn't always give a clear view of the different shots. If you're like looking for a really program to create stopmotion videos, you'll like FramebyFrame. We still recommend the cleaner and more advanced Boinx iStopMotion. Worst Program Ever!. Absolute TRASH. Never download this product unless you're looking for a waste of time. Quits every 10 minutes, cannot save a single project, and has wasted over an hour of my life. 0/5 stars. Worst program ever. Terrible!. I downloaded this app, and immediately noticed that it didn't take long to download (due to small file size) and tried to start it up. It showed the app for around 2 seconds, before crashing. It has done this every time I have started it up. I have 4GB of RAM and only had Safari open with it. If it were stable, it would be a world-beater. If it were stable, it would be a world-beater. I have had it stay up for an hour, for a hundred frames. and the very next time, it would crash after only six or seven frames. MacBook Air. Mavericks. Canon ZR40 video camera. Belking Firewire to Thunderbolt dongle. Would be good if it didn't crash every five minutes.. Burn it to the digital metaphorical ground and erase all memory of its existence. Okay, but in all seriousness, this program needs a severe overhaul. The program itself is easy, simple, and the various functions put into the program, such as the ability to layer the camera's view and the previous image you took. 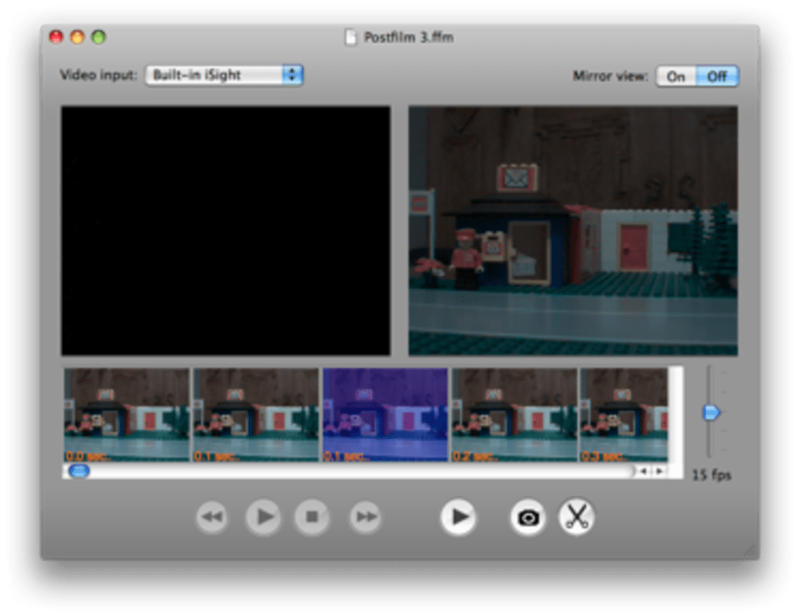 It should, by all logical means, make the creation of stop-motion animation videos easier. This is where the trouble starts. It does not. It is plagued by bad optimization, glitches, incompatibility, frequent crashes, and abrupt erasing of entire sections of video (this last one is particularly irritating). The problem is not unique to me, as one might think. Just about every single person i know who has used this program has enjoyed it's good functions but has ended up loathing it with a fiery passion, as i have, because it doesn't work. This program does not fully complete its function.